In an age of bland, unispired, unorginal “music” this band continues to deliver the goods. While not as stunning as the previous “Twin Cinemas”, this is a solid effort. “Here’s the munity I promised you, and here’s the party it turned into” on the track “Mutiny, I Promise” is the best line I’ve heard in a song in a long time. 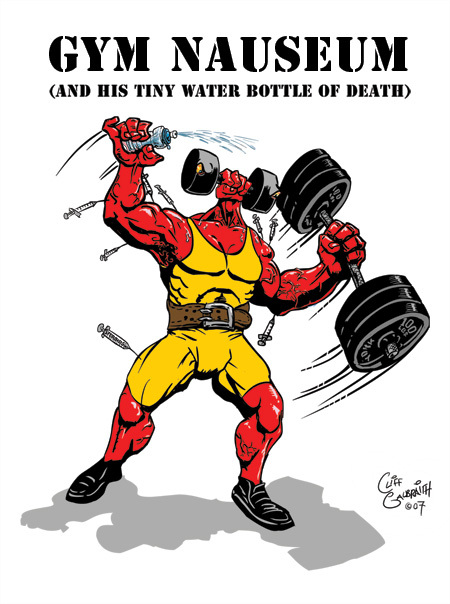 I drew this guy after reading fistacuffs.blogspot.com, a very unique blog by Dam Hiti, where creators send in their characters to compete in battle which is voted on. This is the first in a series of absurd warriors. Let the games begin! Author adminPosted on August 11, 2007 August 11, 2007 Categories Character DesignLeave a comment on Bring It On!